Rain falls upon the bride and groom at the Centennial Park fountain. Katherine and Justin's outdoor Fall wedding at Centennial Park saw a touch of wind, a little bit of rain, and a slight drop in temperature mixed in with a whole lot of love!! Sounds like the perfect forecast for an Autumn wedding filled with the tremendous warmth of friends and family. Our day started at The Color Room in Dyer, Indiana where the girls prepped for the day ahead. Speeches were planned, mimosas were served with plenty of nervous laughter during the bridesmaid's first look. 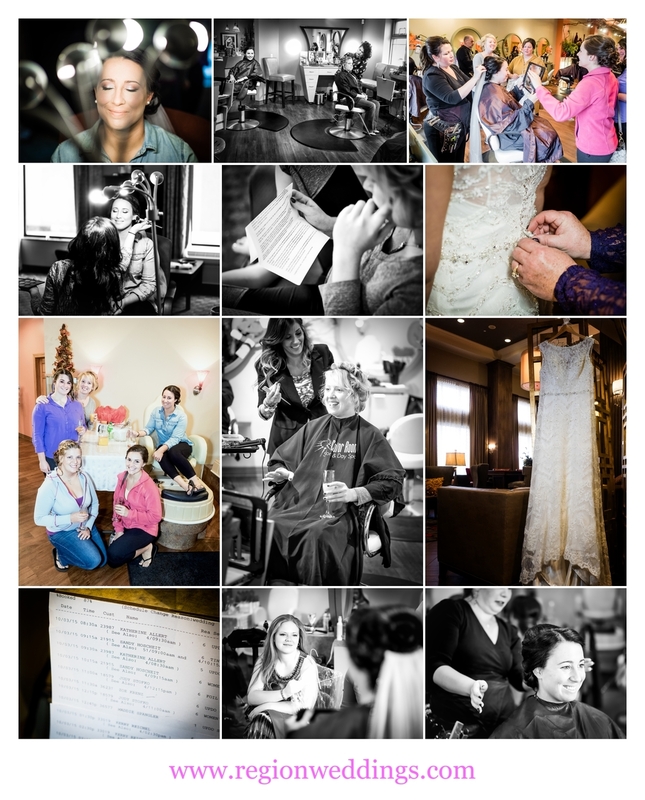 Wedding day prep at The Color Room in Dyer, Indiana. First look at the bride for her bridesmaids. 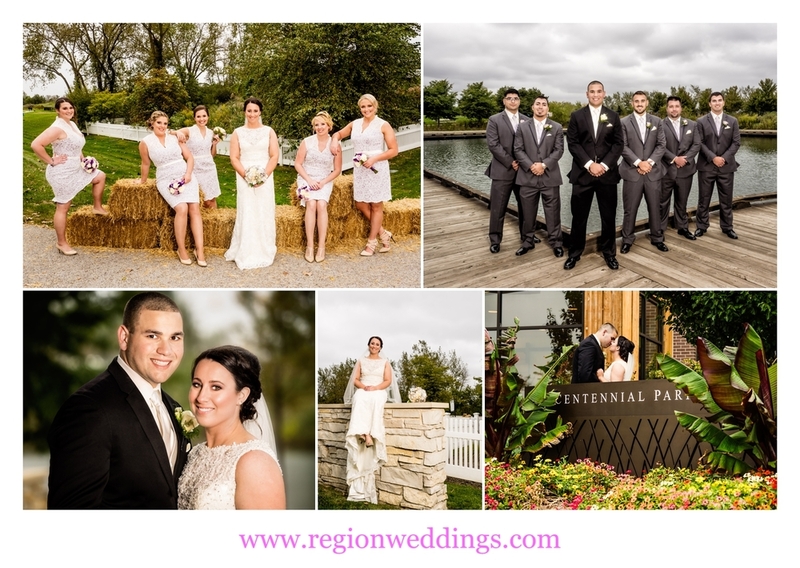 Before the wedding we photographed the girls and guys separately and then it was time for our outdoor ceremony on the terrace overlooking the lake at Centennial Park in Munster. Bide in the garden at Centennial Park. I could see the hearts of parents and family getting tugged as Katherine and Justin were pronounced husband and wife. Family photos and then it was off around the park with the wedding party. Fall wedding ceremony at Centennial Park. Outdoor wedding ceremony on the terrace at Centennial Park in Munster, Indiana. Katherine's bridesmaids were just terrific as they endured some cold winds as we walked around Centennial Park for photos. The rain held up enough for us to get couple's shots all around the park. Then it was time for dinner and huge dance party inside the clubhouse. Wedding photos at Centennial Park in Munster, Indiana. Fall wedding reception at the clubhouse in Centennial Park. First dance at Centennial Park. This is merely a sneak peek with many more images to come from Katherine and Justin's outdoor Autumn wedding at Centennial Park! !